25 startup companies from across Pakistan will advance to the semi-final round of the ATX+PAK Advance: Global Market Access Program (GMAP) a two-year intensive business development program focused on accelerating the international expansion of Pakistan businesses. The GMAP is a partnership between the City of Austin, Texas, Innovation District 92, and Capital Factory. AClan, ALRUG, baseH technologies, Codematics Services, Creatrixe, CricFlex, Deltacron Business Technologies, Freightix, Gohar and Company, InstaSafe, Journal Post LLC, MangoBaaz, Mapalytics, Maqami, MoboKey – Car Chabi, SOFTBEATS, Takhleek Studio, Thekaydaar, The Support Group, TRIAC, Vampwelt, Vceela, Whinstone, YUGO, Sehat.com.pk. The startups were selected from a pool of more than 60 applicant companies representing a diverse range of products and services. The semi-finalists were chosen based on a variety of criteria, including potential for long-term success in the US market. 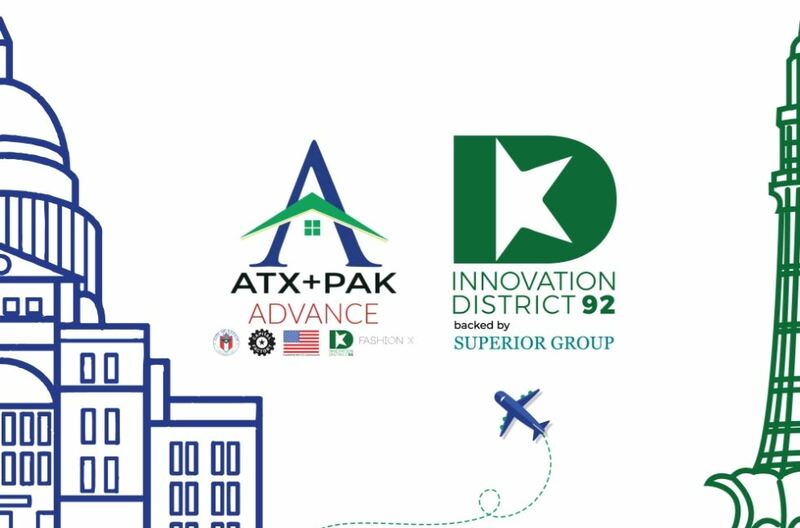 The GMAP semi-final round includes a three-day selection boot camp May 3 to May 5 hosted by Innovation District 92 (ID92), the City of Austin’s official ATX+PAK programming partner in Pakistan. A team of seasoned investors, and business mentors from Capital Factory, the largest business accelerator in Texas, will lead the boot camp sessions. The robust programming schedule will include in-depth analysis of each company’s state of readiness for international expansion as well as deep-dive discussions on topics ranging from market readiness strategies, to forming strategic partnerships. The team from Capital Factory consists of Chris Gillan, Senior Vice President, Corporate Innovation, and Fred Schmidt, Director International Affairs and Michael Morton, Mentor at Capital Factory. At the conclusion of the workshop, the Capital Factory team will select ten companies to advance to the final phase of GMAP which includes a four-week US market immersion visit to Austin. Each of the ten startups will receive customized mentoring support, tools, resources, and connections to establish their global offices in Austin at Capital Factory headquarters. The goal is to have those companies to have initiated or completed US expansion plans by the ATX+PAK Advance program close in fall of 2020.